Patrick Bamford understands Middlesbrough fans' anger at what has been an underwhelming campaign. The club's relegation from the Premier League was confirmed at Chelsea on Monday, and Boro wanted to put on a show in their final top-flight match at the Riverside. Instead, Steve Agnew's side produced a stuttering display that was punished by much-changed Southampton, with under-fire Claude Puel leading his side to a 2-1 victory. Supporter frustration was audible at the Riverside, where former manager Aitor Karanka's name was chanted and fans called for their own goalkeeper Brad Guzan to be sent off after giving away a penalty. 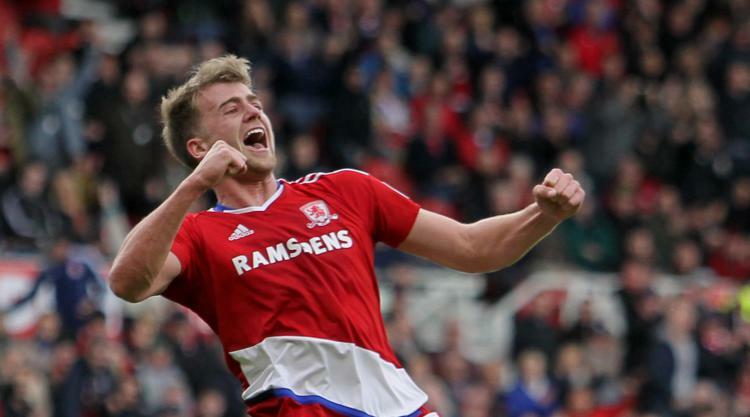 Bamford's consolation goal brought some much-needed cheer on an afternoon of discontent on Teesside. "It's hard but you understand in a way as well because obviously Middlesbrough is such a massive club and it is obviously not nice for anyone that we're getting relegated," he said. "The fans are entitled to voice their opinion. It is obviously hard. "I've been a fan once upon a time when I was young at Nottingham Forest and you get frustrated when you're watching and things aren't going the way you want them to. "I totally understand. Obviously it is hard as a player but it's one of those things you've got to get on with. "We tried to put on a show for the fans and obviously it didn't turn out that way, but we know they'll always be with us." Attention soon turns to life in the Championship, with chairman Steve Gibson outlining his determination to "smash" the league next term. Bamford could well play a key role in that having won the Championship player of the year award when on loan with Boro two years ago. Since then, though, things have gone awry for the player. Loans to Crystal Palace, Norwich and Burnley were followed by a permanent exit from Chelsea and a return to Boro in January, with his goal against Saints his first in 760 days. "I think it is only my third start in the Prem," he told Boro+. "It has been frustrating but I just stuck with it and I knew my chance would come. "I knew when it came I had to take it and it was a shame not to win or draw, but it was nice for me personally to get the goal. "Obviously when I signed for Middlesbrough I was hoping that we would stay up and that I'd be a big player for them in the Premier League. "But that's not how it has turned out and obviously it's my job now and the rest of the team's job to fire us straight back up. "It is not as easy as everyone says and the Championship is a struggle and a real grind sometimes, so we'll try to do that and see where we go." Jay Rodriguez and Nathan Redmond scored the visitors' goals on Saturday, with the former meeting a fine cross with a sublime volleyed finish to light up a drab first half. Rodriguez was one of seven changes on an afternoon when Saints ended a five-match winless run. "It was important to win the game," the attacker said. "We had a lot of change in the team today and I think that all of the lads that came in did really well, so it's an important win. "We have good lads in this team who get their heads down and work hard, and I think that really showed today."